Location is one of things that matters to me whenever I search for a hotel room. It is a major plus point if the hotel is within walking distance to the places I intend to visit. If not, then at least it should be accessible by public transportation. But for long lay-overs, I opt to stay in a hotel near the airport; just like what happened during our last vacation in the Philippines. 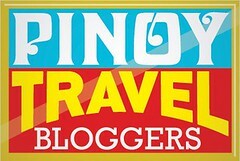 Before heading back to Dubai last December, we spent a night in Manila. Our 24-hour stay mainly evolved in the airport - arrival in the morning, send-off relatives who are also in transit in the afternoon, and departure the next day - hence, I decided to book a room in a hotel within a stone's throw from NAIA Terminal 3. 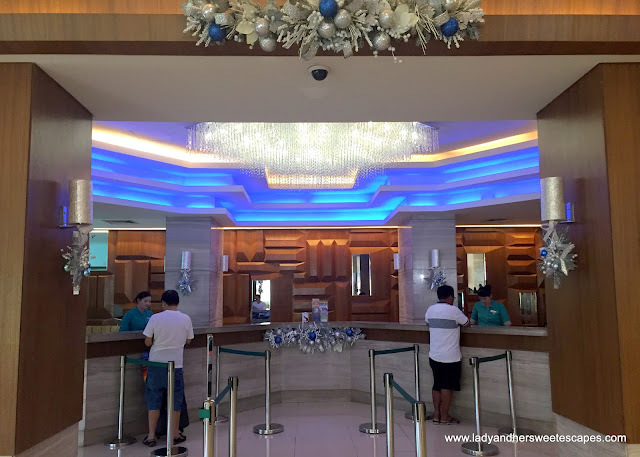 The string of hotels in Resorts World Manila ticked the number one box on my checklist. They are not just located opposite T3, but offer free airport shuttle service as well. A big plus for convenience! 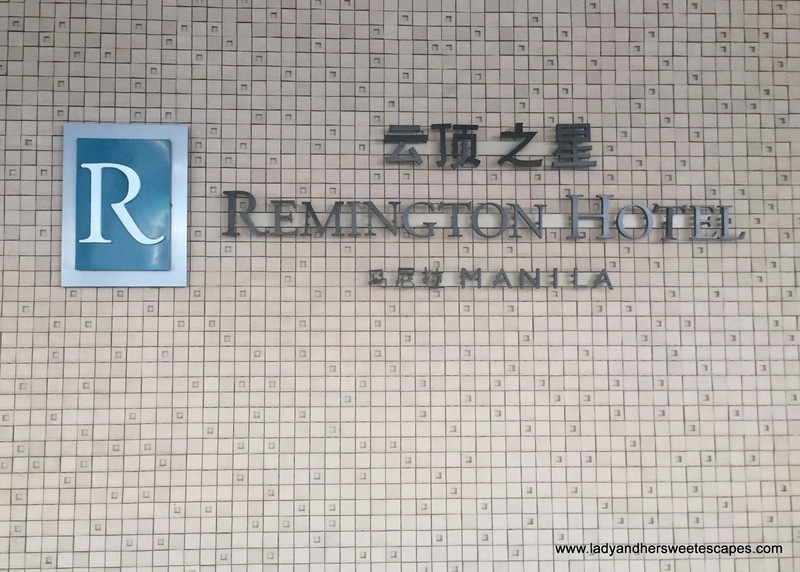 The rest on my checklist - amenities, good rating and affordable price - were all ticked off by Remington Hotel. 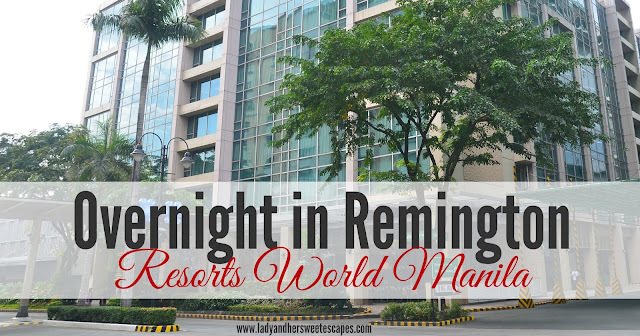 Remington Hotel is tucked in between NAIA Terminal 3 and Resorts World Manila. It makes a good base for travelers and also for concert/musical-goers. Newport Mall, Theater, Resorts World Casino, and plenty of bar and restaurants are located within the neighborhood. It was around 10 AM when we arrived at Remington Hotel via Resorts World airport shuttle. The hotel lobby was buzzing, yet it still possessed a chic and fancy ambiance. Despite being too early for check-in time, we were warmly accommodated at the reception. The concierge took care of our luggage and our hotel booking was processed. Our room was not ready yet; hence we were advised to return after an hour. We used that time to have lunch at Ichiba in Newport Mall, just a few steps away from the hotel. And when we came back, our room key card was handed over to us. Upon checking-in, I asked for a room with a good view. Lo and behold, we got an unobstructed view of the airport from our standard room! Seriously awesome! I watched airplanes come and go for a while before inspecting the room facilities. Other than the fantastic view, the Standard Room at Remington Hotel is pretty basic. It has two queen-size beds enough for 2 adults and 2 kids, plain white linens, tv, coffee-making facility, bathroom, free WiFi and some hotel room essentials. Noticeably, Remington's Standard Room lacks aesthetics, but, it is clean and functional. A breakfast voucher was attached to our hotel key card envelope. We were informed that we can use the voucher in any of the three dining outlets in Resorts World. That's actually good for long-staying guests who want variety for breakfast. Our first choice was Victoria Harbour, but when we knew that the restaurant is inside the casino and taking photos might not be allowed, we opted to dine at Cafe Maxims. Cafe Maxims is located inside Newport Mall. It is an elegant coffee bar and lounge offering exquisite coffee, tea and pastries. Our breakfast voucher entitled us to a set menu. There are 5 breakfast sets to choose from. With the options ranging from daing na bangus to cereal; Cafe Maxims seemingly meets the diverse preferences of hotel guests. Ed had Cafe Maxims' Breakfast Set 1; beef tapa, agg, atchara, garlic rice, and coffee. It is the ultimate Filipino breakfast! The tapa is tender and flavorful, and as always, excellent when paired with sunny side up and hot fried rice. I had Cafe Maxim' Breakfast Set 4. It is a classic Continental breakfast which includes bacon, veal sausage, egg, toast, plain croissant, blueberry muffin and coffee. I loved the assortment on my plate. I would be happier if they added fruit slices on the side though. This is the best part of our stay at Remington Hotel! 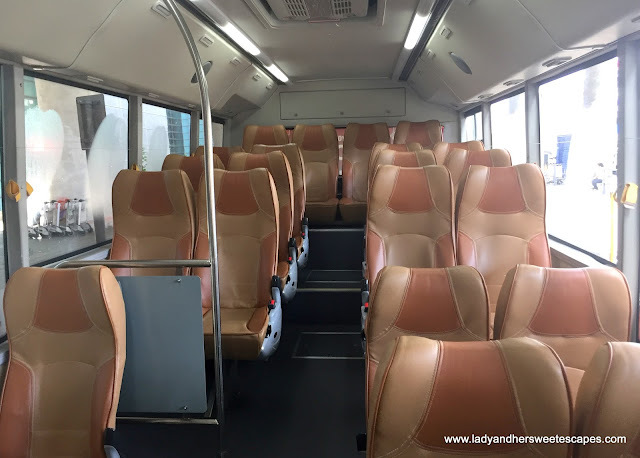 As I have shared, we had to go to/from the airport several times during our overnight stay, and RW shuttle made it stress-free for us! There is a designated waiting area outside the airport terminal. The staff are friendly and courteous. The bus is clean, safe, and on-time! Remington Hotel is a good choice for an overnight stay in Manila. We saved money on the transportation as there is a free airport shuttle. We felt safe walking in the hotel neighborhood, day and night. We had a good night's sleep and a filling breakfast. And most of all, we didn't have to go through the dreaded Manila traffic!